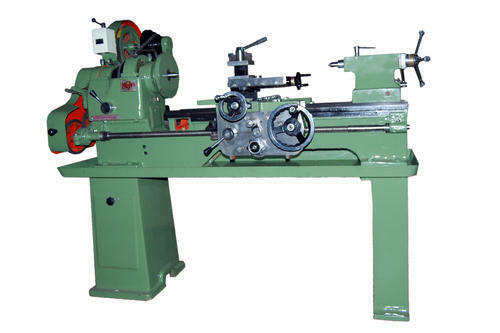 We have emerged as an eminent manufacturer and distributor of workshop machinery like heavy duty lathe machines, universal milling machines, radial drilling, grinding machines, power press, power shearing machine, wood working machinery, etc. We are leading manufacturer and distributors of an assorted range of industrial processing machines like Workshop machinery, Sheet metal machinery, Wood working machinery & Automobiles contruction manufacturing & special purpose machinery with CNC base product machines like CNC Milling, CNC Lathe, CNC Drill, etc. With the assistance of our well-equipped manufacturing unit, we fabricate these machines from supreme quality of raw material. Our procuring agents source this raw material from the most reputed vendors of the industry. Further, we conduct stringent tests of these products on certain parameters to ensure their high performance, easy operations, long service life and sturdy construction.